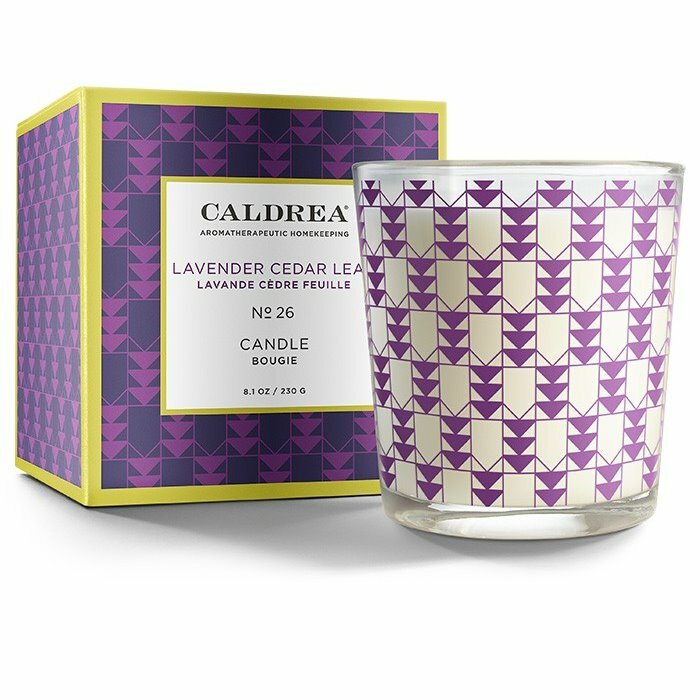 Caldrea Lavender Cedar Leaf Candle has a fragrance of a bright new day. Savor this cool, calming blend of light lavender, fresh greens and sparkling citrus. Caldrea candles are rich in essential oils. The candle wax is a blend of natural vegetable wax and beeswax. The wick is made from cotton and paper. Up to 45 hours of burn time. Product size is 8.1 oz / 230 g.